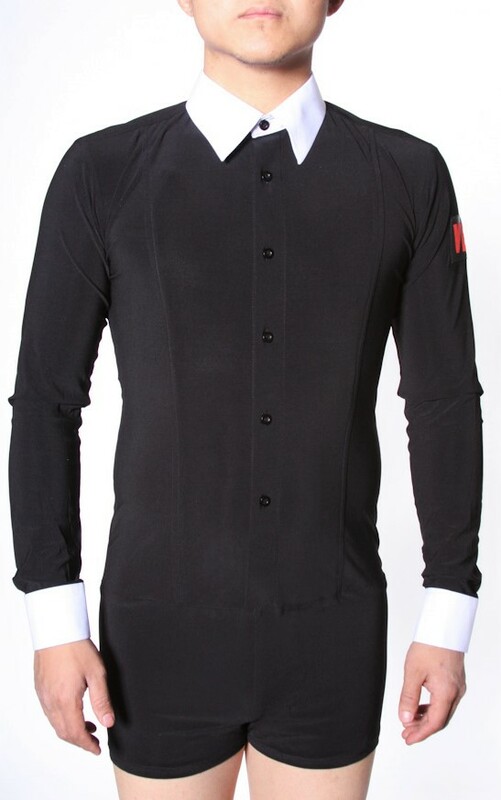 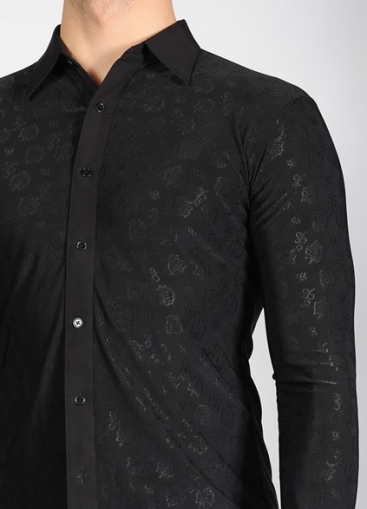 Men's Shirts, VEdance, Black with White Collar Dance Shirt, $145.00, from VEdance, the very best in ballroom and Latin dance shoes and dancewear. 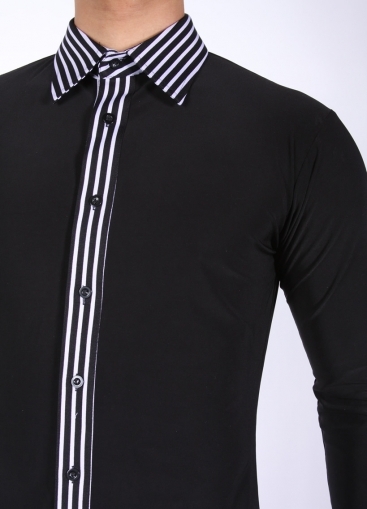 Smooth or standard dance shirt. 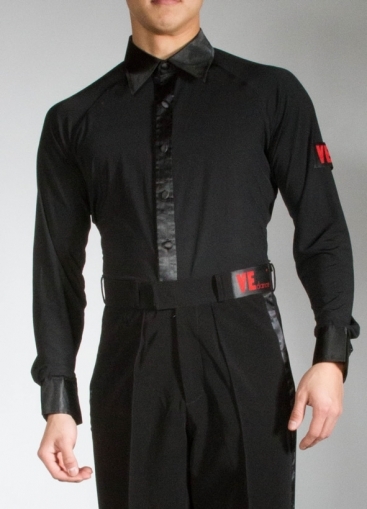 Designed to be worn with a vest or stand alone. 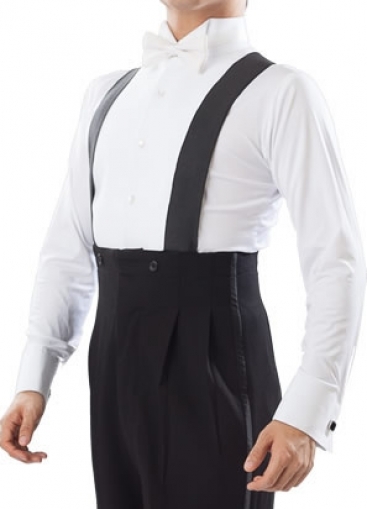 This deign paired with a vest gives the illusion of a jacket from far away and is a great addition to any avid dancers' wardrobe. 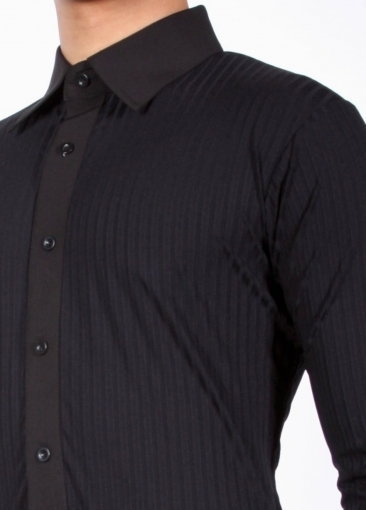 Nice crisp collar for a professional look.